Anita says that it is like Florida for France, with all the French retirees in campervans for long vacations, and in the resorts for slightly shorter trips. 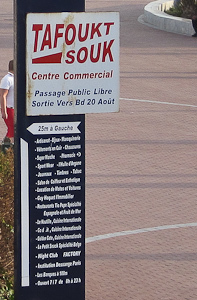 That certainly appeared to be true in Agadir, a city rebuilt for the purpose of foreign tourism. My first diagnosis was from a supervisor at one of the resort’s restaurants; she simply assumed I was German. The next evening, a bartender started counting the ice cubes in my pastis in German. He was beaming with pride that he’d switched to my native language on his own. I chuckled, and that must have given me away. I’m not sure what to make of this. It’s good to know but I’m racked with curiosity. Is it my pronunciation? The rhythm of my sentences? Can I blame Luxembourg? Or my American Midwest French teachers? 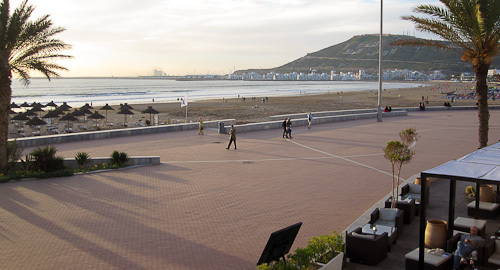 The last full day of our time in Agadir, I stopped to chat with the security guard on the boardwalk. He said, “Too cold for the beach?” and I replied that it was much warmer than I was accustomed to. “You are German? Germans never mind the cold,” he laughed. I couldn’t help but correct him, especially when he didn’t recognize the name of Chicago. (That was a first for me.) Then I went back to my chaise next to Anita at the pool. I closed my eyes and couldn’t help contemplating how I pronounced the ten words I’d spoken before his guess. On the day of our departure, Anita introduced me to a Parisian couple that she’d befriended the day before. I attempted to verify my Germanic accent and maybe get a few details. 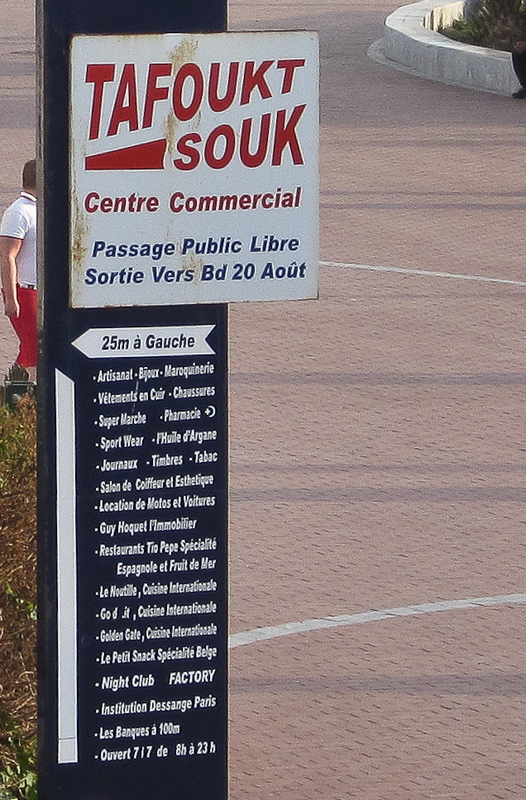 Three full days in Morocco, each day a similar diagnosis of my French pronunciation. Good to know, but I’m feeling a bit self-conscious now that I’m home. I was accused of being a German in Spain once. Because of my shoes. On the way to Dublin airport, I once had a taxi driver not believe I was American. He was convinced I was Australian! Is this better or worse than your French Canadian acccent in middle school? At least you’ve pinpointed it. I blame Luxembourg. I have no way to compare my current accent to the way I spoke French in middle school. Back then, my main exemplar outside school was Pepé Le Pew. I think you just look German…. You look more German than French to me. Although I’m French, I was once mistaken for an eskimo when someone yelled out that I was a “silly knut”.